At Duck Creek Dental we offer patients with missing teeth dental implants. A dental implant is a biocompatible titanium rod that is inserted into the site of the lost tooth root. Being biocompatible means that there is next-to-no chance of your body rejecting the foreign material. Over a period of months your jawbone will fuse with the implant. This process is known as osseointegration. Unlike dental bridges, dental implant treatment replaces the whole tooth. The dental implant replaces the tooth root and the dental crown, bridge or denture replaces the crown of your tooth. The benefit of dental implants is that by replacing the tooth root you are providing stimulation for your jawbone which prevents it from shrinking. When you lose a tooth there is a specific bone that holds the tooth root in place. After a time this bone starts to shrink—eventually it’s gone and it does not grow back. By replacing a tooth as soon as possible you can prevent this from happening. If you wait too long you may require a bone graft prior to dental implant treatment. Additionally, before implant dentistry treatment it is necessary to ensure you oral health is otherwise in good condition. 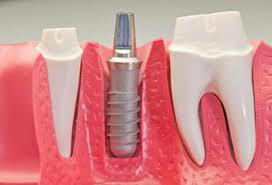 If not any problem will have to be treated prior to dental implant treatment. This procedure can take three to four appointments over four to five months. This treatment is a lengthy one because of the time it takes for your jaw and the dental implant to fuse (typically about three months). Once the jawbone has fused to the implant, the next stage is to attach the dental crown, bridge or denture to the dental implant. If the implant is placed in the upper or lower jaw: it will take longer to heal when placed in the upper jaw. 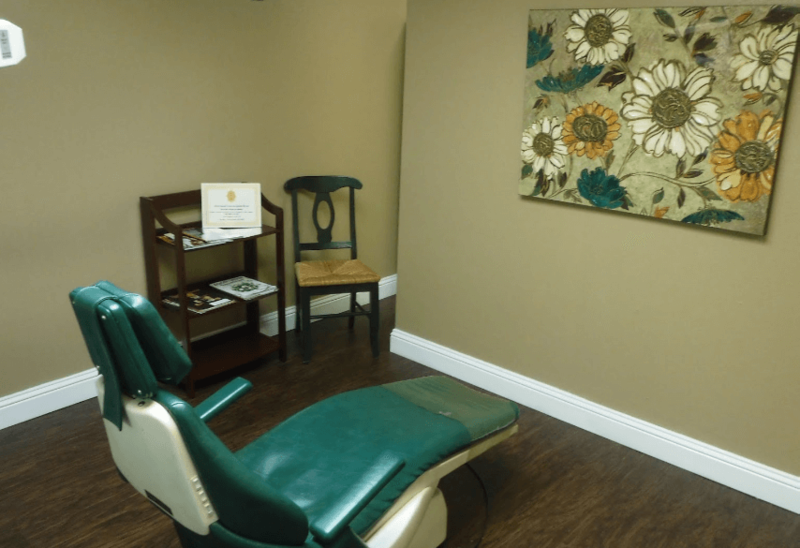 The first appointment is your assessment, and initial preparation for treatment. The second appointment is the placement of the dental implant: this can either be performed in practice or at the hospital. The third appointment is to ensure the implant is healing correctly and to take the impression for the dental crown. The final appointment is the attachment of the dental crown to the dental implant.